Americans consume one-fourth of the world's oil supply, or about 400 million gallons a day, according to estimates from the energy company Conoco Phillips. 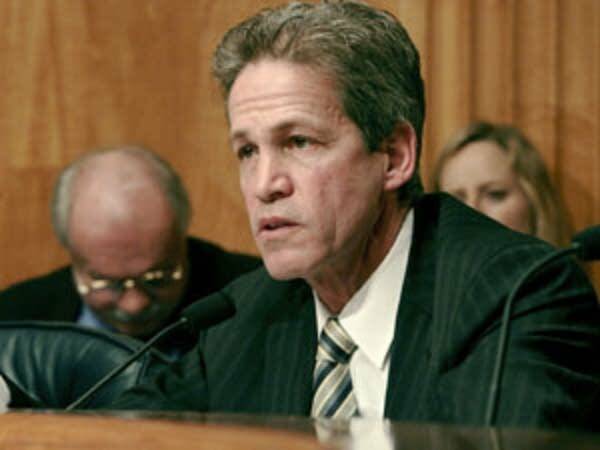 Two weeks ago, with little fanfare, a bipartisan group of U.S. senators including Republican Norm Coleman of Minnesota proposed ending 20 years of foot-dragging on fuel economy. The bill they've introduced sets a goal of raising the federal CAFE, or Corporate Average Fuel Economy standard, 4 percent a year for the next 20 years. "I was not in favor of doing things with CAFE standards a few years ago when I got elected," Coleman acknowledges. "I was worried about the impact on the economy, the impact on jobs." Coleman joined several other Republicans and Democrats to propose the Fuel Economy Reform Act of 2006. Among other provisions, it requires automakers to raise their vehicle fuel standards one mile per gallon per year. 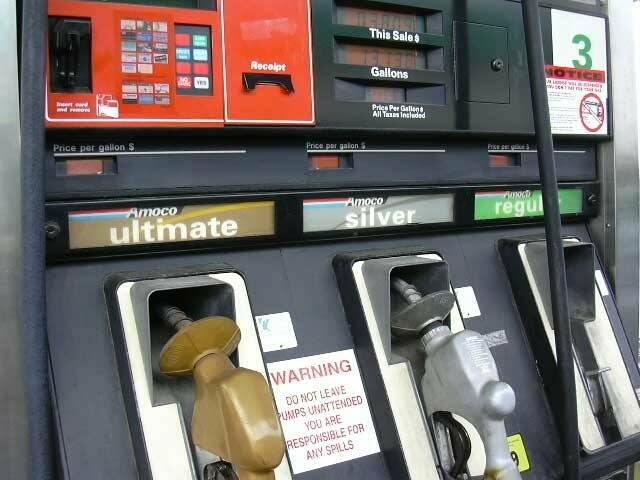 If enacted, Coleman and the others say the bill will result in saving about a half trillion gallons of gas over the next two decades. "I now look at the impact on the economy, impact on jobs, on the high price of oil, the devastating impact it's having in so many corners of our economy on so many people," says Coleman. "So I'm one of the converted on this, and I think a number of my colleagues are as well." But it's not clear that Coleman and the other converts have the votes. For decades, lawmakers friendly to the auto industry have driven attempts to raise the country's federal fuel economy standards into the ditch. I'm one of the converted on this, and I think a number of my colleagues are as well. "We don't support that 4 percent increase, because there is already a process in place to set the maximum increase," says Gloria Berquist, spokeswoman for the Washington, D.C.-based Auto Alliance, which represents U.S. automakers. But the maximum increase in effect now is a modest -- some would say puny -- 1 percent, a requirement so low that in 20 years, America's average fuel economy has barely budged from just over 20 miles per gallon. Berquist says American drivers want big, powerful vehicles to haul stuff and accelerate fast. She says higher fuel economy standards will force the industry to build smaller, less powerful vehicles, and that will hurt business. But Sen. Coleman says his change of heart on mileage standards is based in part on the 2002 National Academy of Sciences study where researchers say, "No, that's not so." The San Francisco-based Natural Resources Defense Council cites the same study in arguing that even big vehicles can be made more fuel-efficient. "There are in fact technologies that can be put into every vehicle, whether it's a Lincoln Navigator, a Chevy Suburban, or say a compact Honda Civic," says the group's spokesman, Roland Hwang. "Any vehicle can be made to be more fuel efficient without affecting its size or weight, or performance of that vehicle." 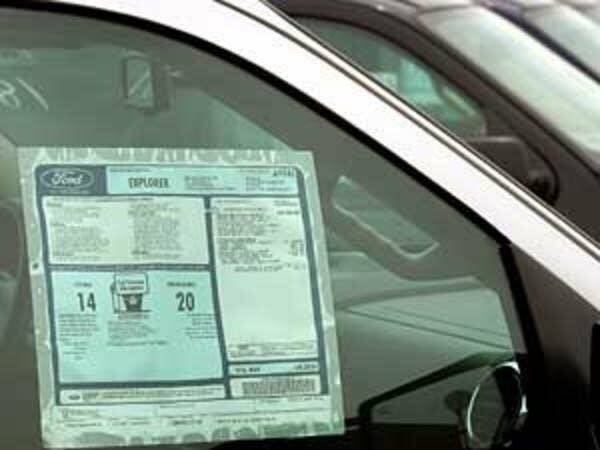 The changes required to improve fuel economy will add hundreds of dollars to vehicle prices. But Hwang says drivers will recoup the higher cost with savings at the pump. Oil prices at $75 a barrel, and $3 a gallon gasoline may be enough to break the two decade-long deadlock over setting higher federal fuel economy standards. If the Fuel Economy Reform Act fails, Dusty Horwitt says there's another way to force automakers to improve fuel efficiency standards. Horwitt is an analyst for the Environmental Working Group, a Washington, D.C.-based nonprofit organization. Horwitt says holding automakers to the miles per gallon numbers they advertise will save lots of money and gas. For years, consumers have taken with a huge grain of salt the miles-per-gallon numbers the automakers claim for their vehicles. Horwitt says the automaker mpg tests are done at lower than average speeds, without accessories like air conditioners in use, and on flat roads. Tests in more realistic conditions show the actual fuel consumption is several miles per gallon lower that automaker claims. But the federal government allows the car companies to keep what amounts to two sets of books on fuel economy, and report the higher numbers to the federal government to meet the law. Ending that policy, Horwitt says, would save money and conserve gasoline. "That fraud costs us 33 billion gallons of gasoline every year. That's $99 billion at $3 a gallon of gas. We could be saving that if the automakers had to meet federal standards using a real world test," says Horwitt. In the end, drivers hold the key to fuel efficiency. On that front, sales numbers show the popularity of fuel efficient and alternative fuel vehicles is growing as gas prices rise. First enacted by Congress in 1975, the purpose of CAFE is to reduce energy consumption by increasing the fuel economy of cars and light trucks. The U.S. would have imported about 20 percent less foreign oil in 2005 if automakers met federal fuel efficiency or miles per gallon (MPG) standards based on real world driving conditions.